Are you ready to take on the future of smart home entertainment? Here’s everything you need to know about Android TV and discover some of the most exciting Android TV apps to take your entertainment factor up a notch. Back in 2013 when Google wasn’t too keen on bringing out its very own hardware, it corroborated with industry giants like Sony and Intel. This brought upon a different kind of operating system called Google TV, but less than a year later bit the dust and everyone thought that the idea was buried. However, Google refined Google TV and rebranded it as Android TV, ushering a new era of smart home entertainment. While Android TV is not as publicized as Android Wear for smartwatches and Android Auto, the trend is catching up and products like the Nexus Player and NVIDIA Shield TV are mainstreaming the technology. 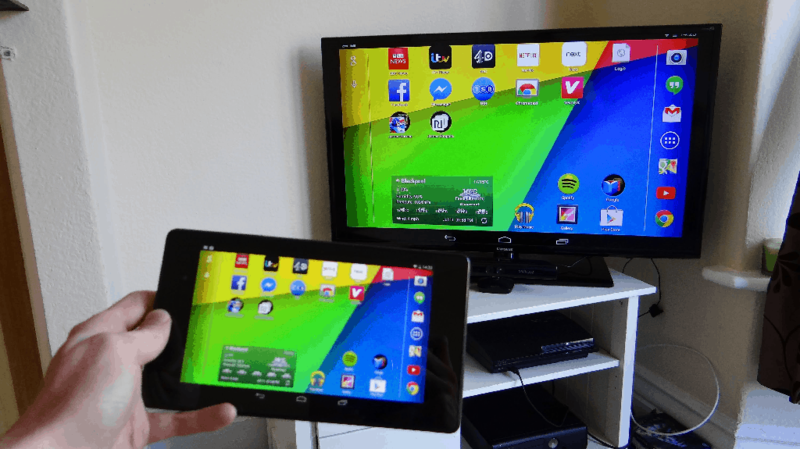 Whether you have Android TV built right into the HDTV you purchased or have an Android TV enabled media player connected, the software is essentially the same. 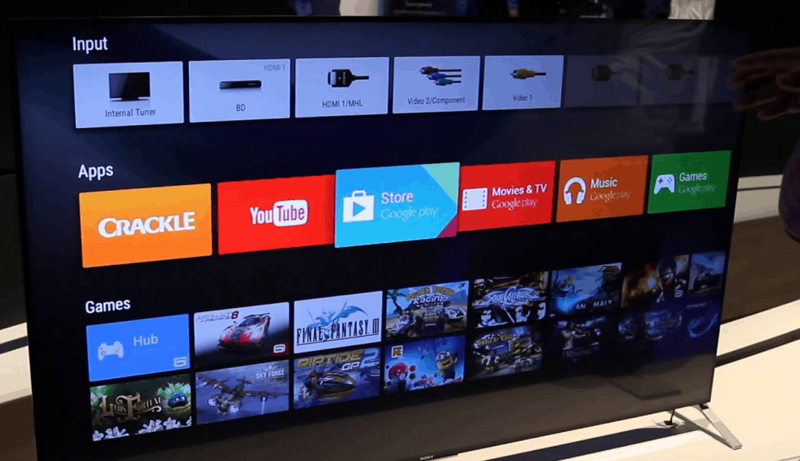 From using the Google Play Store to download Android TV apps to playing graphic-intensive games right on the big screen, there a world of possibilities that the Android TV has to offer. The lovable voice commands that we have been using on Android smartphones and even on our Android Wear smartwatches has been bumped into Android TV as well. 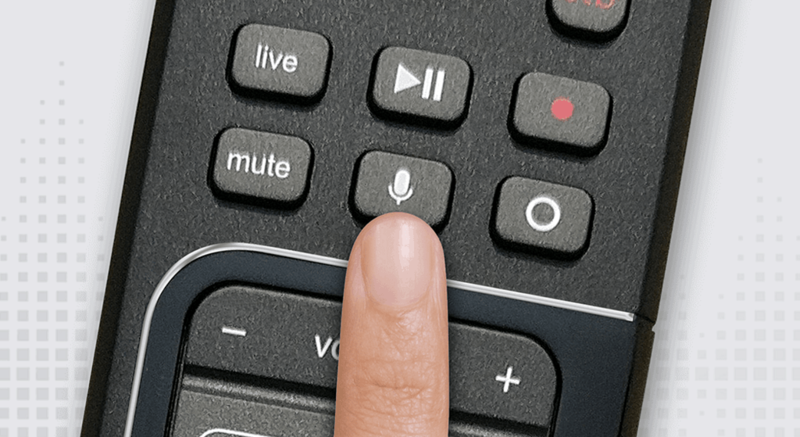 Most Android TV media players come with a remote control and a microphone built into it, so you can simply press the mic button and narrate your command directly to your TV. If that isn’t futuristic enough for you, the capability of the voice command search is phenomenal and more personalized than you could ever imagine. For instance, you can simply speak out “show me the best horror movies since 2010” and the search will bring up not only the titles but also direct links to services like Netflix, Google Play, Hulu, and others. Even with a thousand channels at your disposal, you probably find yourself sifting through the channels and never having something to watch. 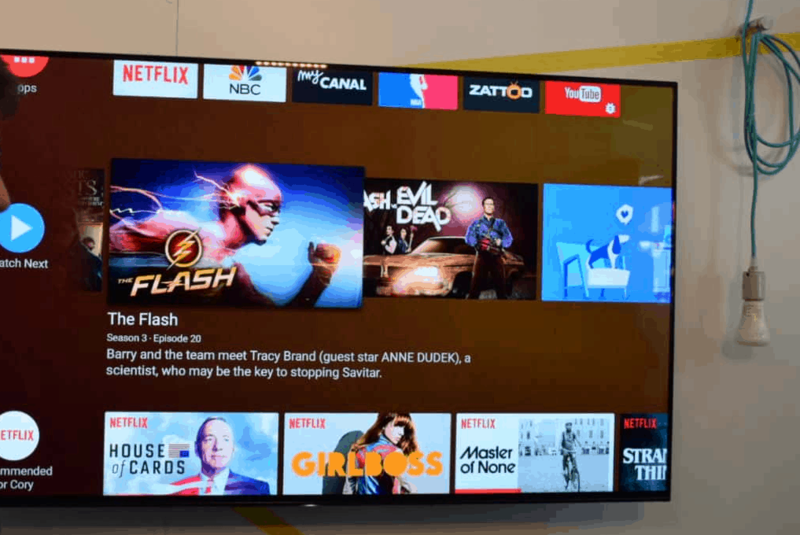 The main screen of your Android TV comes with a Content Discovery bar that hopes to change this, by learning your viewing library and interests to suggest suitable content. From suggesting useful apps and games that you can get from the Google Play Store to tutorial videos that may be related to something you recently watched on YouTube, the Content Discovery feature will ensure you always have something to kill time when relaxing on the couch with Android TV. Starting off right on the home screen, you’re greeted with some of the featured apps like Netflix, Amazon Instant Video, BBC iPlayer and many others. However, the latest Android TV devices like the NVIDIA Shield TV and Razer Forge TV are b packed with 4K capabilities and high-end graphics to heat things up a bit. 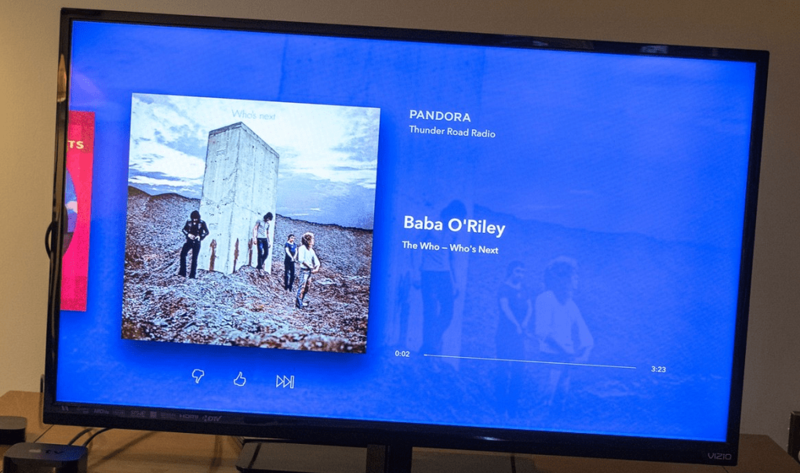 There are plenty of choices for audiophiles as well since most of the popular music streaming services like Google Play Music and Spotify are compatible with Android TV as well. 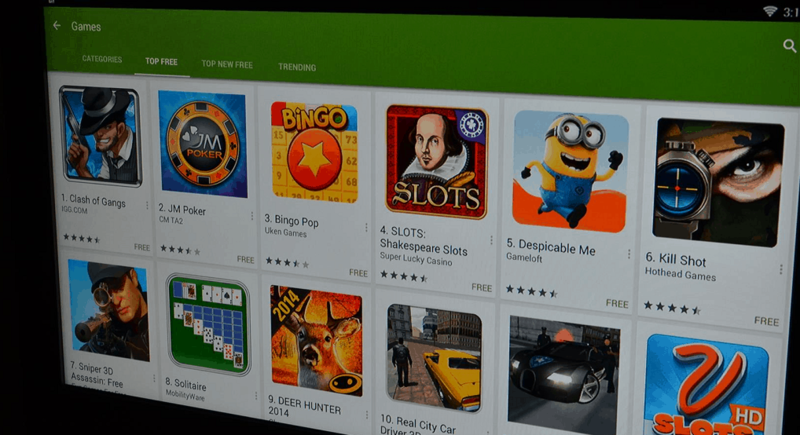 The Google Play Store is already packed with more than 1000 apps that are made especially for Android TV, and the number is bundling up as more developers are catching up on the hype train. Mobile gaming is no longer just about Candy Crush and Angry Birds, high-intensity Android gaming is the future and your TV will be a huge part of it. Since nothing beats the comfort of sitting back on your couch and having a gaming session, Android TV devices from gaming giants like NVIDIA and Razer are already stepping up to the plate. Right from the main screen, you can scroll down to find the game section and go through the titles available on the Google Play Store and even some exclusive ones. Supporting features like single and multiplayer, online and offline gaming, and specially designed gaming controllers, gaming on your Android TV becomes a team event, while Google Play Games keeps a track of your progress. You’ve probably tried out Google Chromecast and loved it right away, so you’ll be glad to know that Android TV comes with Chromecast built in. If you love Google Chromecast but don’t want your Android device to always be connected in order to use apps like YouTube and Google Play Music, Android TV is the way to go. Once you have your Android TV set up and ready, you can fetch the Google Home app for your Android phone and start casting. Apart from casting your phone screen onto the TV, you can also use the Google Chrome browser on your computer and cast tabs directly to your TV without needing the Chromecast dongle separately. It was recently announced that Google Assistant aka Google Now on steroids will be ported to Android TV as well. While this addition may not seem too exciting right off the bat, you’re probably underestimating how cool it would control your NVIDIA Shield TV entirely through voice commands. Moreover, Samsung SmartThings support is coming over as well, which sets the foundation of turning your Android TV into a Google Home. Early demos reveal that Google Assistant will bring along compatibility for IoT devices like the Nest thermostat, coffee maker, and lighting. Your home may not be smart just yet but when it is, your Android TV will be the way to control everything around the house with your voice. Whether it’s the case for Android for smartphones, Android Auto, or Android TV, it is the apps that make the entire experience out of this world. 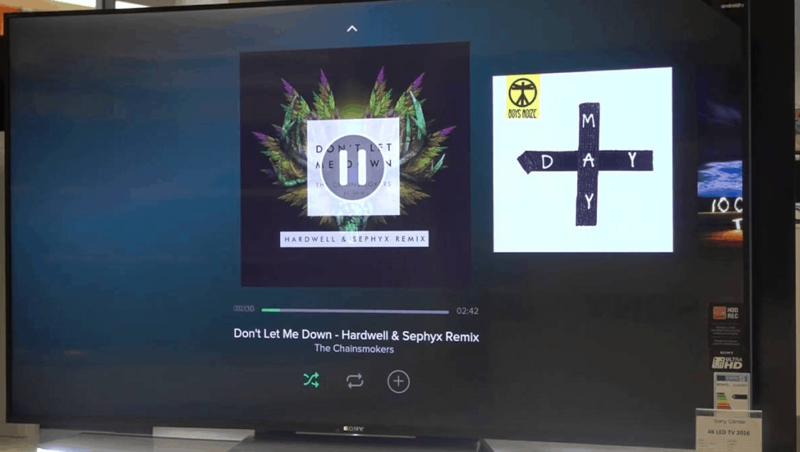 Since your smart TV is just not complete without hundreds and thousands of apps to power it, we have sifted through the Google Play Store to find the most popular Android TV apps in every genre available. You already know everything there is to know about this streaming service unless you’ve been living under a rock for the past few years. Netflix comes preinstalled on most Android TV devices and is a recommended app for every movie and TV nerd who just can’t get enough of it. Starting at just $9/month, Netflix has thousands of movies and all the popular TV shows at a finger’s click, with several refreshingly Netflix Original content as well. 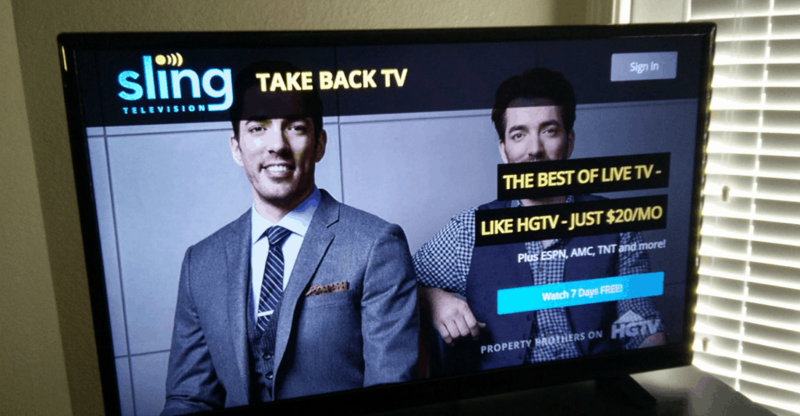 If you’ve been on the fence about finally cutting the cord but are a total sucker for cable TV, Sling TV is the subscription service you need. Starting off at $20 month, you get plugged into live-streaming channels such as AMC, ESPN, Food Network, Disney Channel and much more. Rather than purchasing a membership for HBO GO separately, you can purchase an add-on subscription package at a fraction of the cost. Since the first two offerings don’t come without a paid subscription, it’s only fair that the list includes a free entertainment service like Crackle. If you’re fine with watching shows on the schedule and aren’t too bothered by a few commercials every now and then, Crackle is a library of hundreds of movies, dozens of classic TV shows like Seinfeld and even anime series that you can tune into without paying a recurring subscription cost. Possibly the best open-world game series ever created, Grand Theft Auto put you in a virtual world where stealing cars and blowing stuff up is a casual Friday. 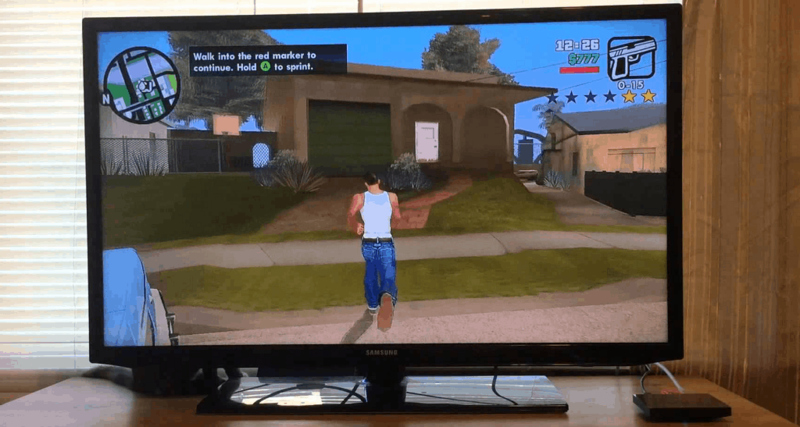 Made popular in the olden days of console gaming, Grand Theft Auto – Vice City, Grand Theft Auto – San Andreas, and Grand Theft Auto III have been ported to the Android platform and brought to the big screen with Android TV. A pioneer in gaming with hundreds of revered titles, EA Games brings its expertise to the Android platform in the form of Real Racing 3. 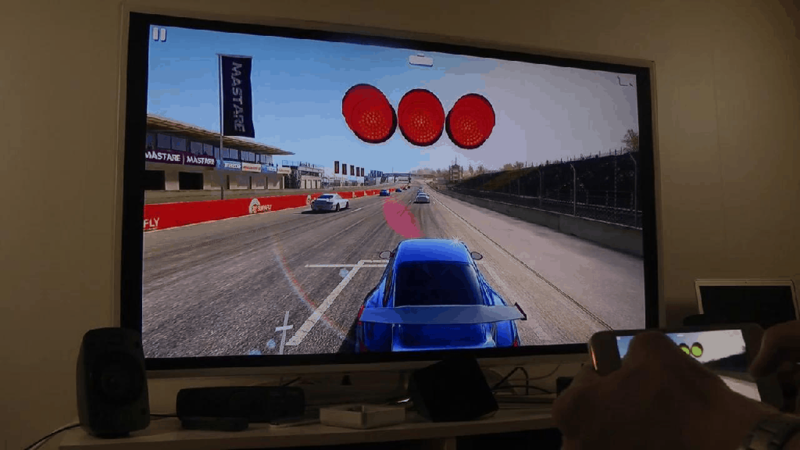 Despite being a freemium game, the fact that Real Racing 3 is one of the few high-graphic racing game available on Android TV makes up for it. With a total of 140 gorgeously designed supercars, 17 different tracks to test out your skills, and a powerful online multiplayer platform, you’re in for a high-octane experience. A good game is not about the graphics but the experience that you get from it, and Telltale Games knows this all too well. 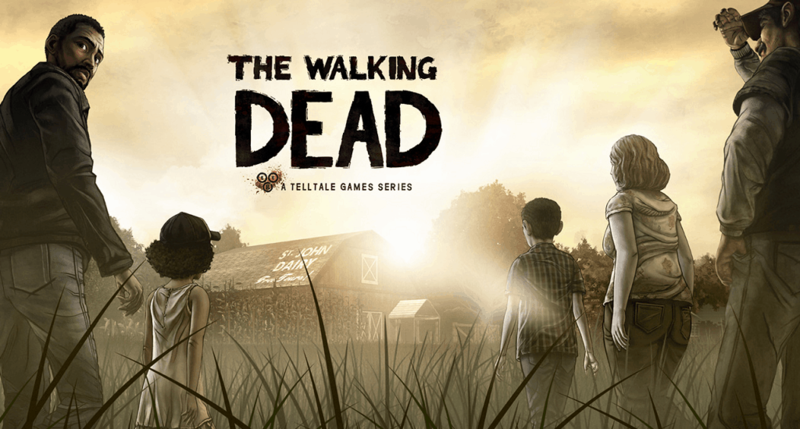 Known for their iconic episode-style mechanics for creating enticing storylines, beautiful graphics, and titillating puzzles, enjoy games based on series such as Game of Thrones, The Walking Dead, The Wolf Among Us and more on the big screen and immerse yourself. While Google Play Music is an obvious choice for many, what makes Spotify so popular is its “pure music streaming” philosophy. Harboring hundreds and thousands of songs, phenomenal discovery section and multiple playlist options, you can even listen to your favorite tunes without paying the $9.99/month subscription if you’re fine with advertisements. A part of the internet radio world right from the start, Pandora has evolved into one of the best music streaming services out there. You start off by feeding it your preferences in the music genre, your favorite artists, and tracks, and Pandora creates a radio station playlist based on it. While the service comes free with ads, you can get the $5/month subscription and enjoy the perfect playlist on your Android TV without any advertisements. 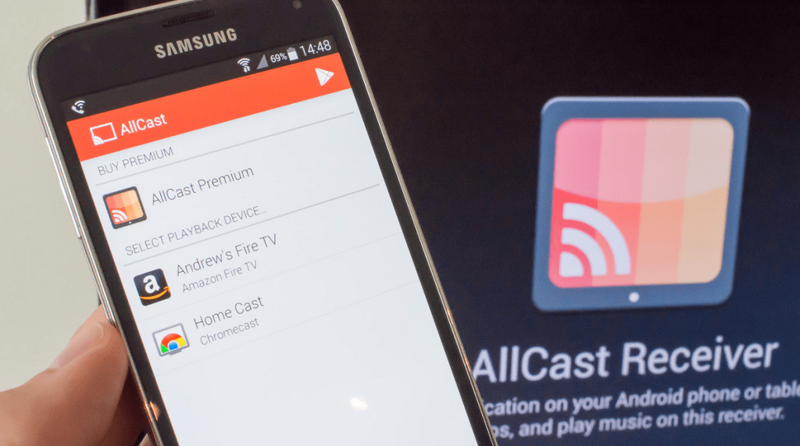 Created by the veteran Android rooting experts ClockWorkMod, AllCast takes the concept of Chromecast and gives its wings. Since not all apps are Chromecast compatible, you need to cast your Android screen to view a certain video or play an audio file on the big screen. However, AllCast gives you to the ability to cast any video, image, or music file stored on your Android phone or tablet directly to your Android TV. Regional-restricted content is a real problem, and if you want to enjoy Netflix US from any other country, you will need a VPN. 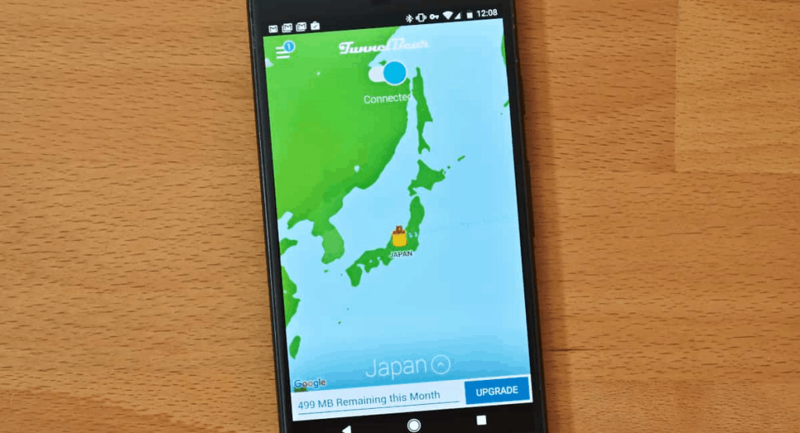 Fortunately, TunnelBear has you covered with its reliable VPN service right on your Android TV, helping you safely connect to the internet anonymously. While the app isn’t exactly Android TV approved yet, it seems to work fine and even comes with free 500MB usage for new users. 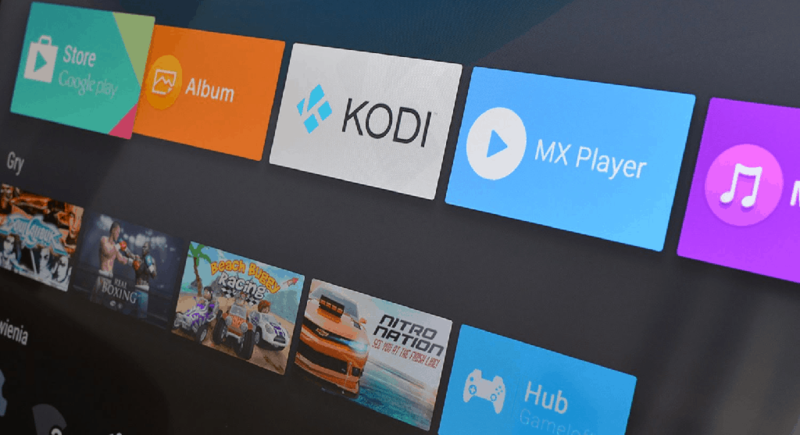 Earlier known as XBMC that started off as an open-source media player for the Xbox, Kodi is today the largest media streaming center across every platform. While the ability to manage all of your media on a single platform is great, what makes Kodi the best is the numerous Kodi add-ons that turn it into the ultimate media streaming app. Kodi looks stunning on the big screen with a beautiful user interface, and you can find a Kodi add-on for music, videos, radio shows, live streaming TV shows, and a whole lot more. Are you ready to take the leap into the future of home entertainment with Android TV? If there is any Android TV app that deserves our attention and a spot on this list, mention it in the comments or start a conversation on the Updato Forum.